Can the Amgen Takeout of Micromet Juice German Biotech? Can Anything? Now that Germany has had its first billion-dollar biotech exit, it seems it would be about time for the beleaguered German biotech sector to enjoy a welcome jolt of juice. Amgen plans to lay out $1.16 billion in cash to acquire Micromet (NASDAQ: MITI) in a deal announced on January 26. Generally, big exits create new opportunities. As a wishful example, consider the impact of the upcoming monster $10 billion IPO of Facebook, which will likely spark financially secure engineers to start new companies and multimillionaire founders to start new venture funds. So is it time to celebrate in Germany? Not exactly. But there may be some good news for German biotech if we dig deep enough. 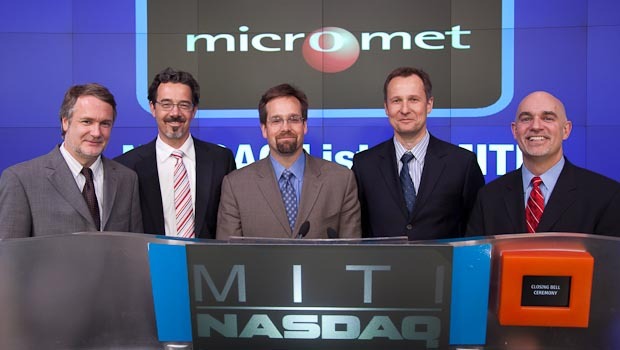 I believe that the Micromet acquisition and other recent successes could serve as a valuable proof-of-concept for biotech products and technologies “made in Germany.” There are plenty of seedlings growing up from German universities and spinning out of existing companies. This is a good time to focus on them. Amgen’s big-ticket acquisition will likely not translate directly into a rash of new startups. The techniques used in inventing Micromet’s products – bispecific antibodies for systemic treatment of cancer and other severe diseases – are not easily transferred. Amgen has said that it intends to retain virtually all two hundred employees located at the Munich site. Some itchy would-be founders may eventually leave but the short-term impact will be limited. More difficult for the German biotech scene, Micromet has not been a purely or even mostly German company for a long time. Its January, 2006, reverse merger with the failed California biotech CancerVax gave it a NASDAQ ticker symbol and a U.S. headquarters. The company raised $328 million in total of which $264 million came in PIPEs and follow-ons following the CancerVax merger. There was also approximately $60 million cash on hand at CancerVax when the companies merged. Why not? Clinical trials were going to be expensive. Likely acquirers were far away. Some funds faced restrictions on cross-border or public investing. Others simply did not have the money to push a company so far towards clinical proof-of-concept. The lack of local capital threatened to leave the company unable to prove the value in its innovative products. Hence, many of the gains were made by investors in public shares such as crossover funds and hedge funds. Before I unveil my modest proposal for how to help the next crop of projects and companies in Germany, let’s look at where we are, how we got here and then I’ll return to where we can go next. The world’s biotech boom of the late 1990s and early 2000s proved to be too much of a bubble for many German companies and investors. Some early companies were not built for sustainability and after some 2000-era fairy-tale financings on Frankfurt’s Neuer Markt, public biotech investors in Germany were badly burned. They have largely not returned. What is left in Munich, Berlin, Stuttgart, Heidelberg and other fertile biotech regions is both promising and problematic: truly world-class science; experienced entrepreneurs and employees; over eight hundred companies; and a severe lack of both venture and growth capital. Hence, in Micromet’s case, the truly creative solution of a reverse merger in 2006 and the successive financings in 2006, 2008, 2009 and 2010. The company’s big exit, albeit on a leukemia product not yet been approved by FDA, is a beacon of light for German startups. I asked eight venture and public investors in Germany about the acquisition’s impact and the response was one of optimism tempered with caution. “The general message is positive, namely, that German biotech is capable of turning cutting-edge basic research into a full-blown company,” said one financial VC in Munich. But even if traditional VC does not return in significant amounts to Germany, some of the near-ripe fruit there is worth watching. Those companies include two that had the honor of presenting at the 2012 JP Morgan Healthcare Conference: NOXXON, based in Berlin, which is carrying out multiple clinical trials in a variety of high-value indications for its exciting spiegelmer technology; and Probiodrug, based in Halle, which is pursuing a unique and highly interesting approach to treating Alzheimer’s disease by attacking the underlying disease biology in a novel way. A third company, Curetis in Stuttgart, announced in November that Roche Venture Fund had made an investment alongside a Netherlands-based financial VC fund, Forbion. Curetis’ technology can rapidly identify pathogens causing hospital-acquired or severe community-acquired infections like pneumonia by bringing highly multiplexed PCR reactions into the hospital lab. MorphoSys: inventor of an antibody generation technology, this venture-backed startup nearly succumbed in the early 2000s to the same shortage of capital that forced Micromet out of Germany, then “went public on a hope and a prayer,” according to one investor. “Now it’s a real company,” he said, with a recent market cap of $420 million. Direvo: an enzyme engineering business for protein therapeutics sold in 2009 for $230 million to Bayer Schering; the original technology was spun out into the “new Direvo” and is now in innovative use for industrial enzyme development; like the original Direvo, it is based in Cologne. Jerini: a therapeutics company in Berlin acquired by Shire in 2008 for € 328 million ($521 million). Brahms: a molecular diagnostics company acquired by Thermo Fisher in 2009 for $479 million. MTM Laboratories: a molecular diagnostics company in Darmstadt acquired by Roche in 2011 for up to € 190 million ($269 million). No one doubts Germany’s ability to generate attractive up-and-coming academic projects and small companies. As one investor put it, “the start-up scene is healthy and ‘well-seeded’ by various grant systems like GO-Bio and government-affiliated institutions such as High-Tech Gründerfonds.”* The bottleneck is capital. Last time I checked, the pharmaceutical industry was shutting down internal research and scouring the world for innovation. Some pharma CEOs are saying that pharma should not invest in internal R&D at all any more. By contrast, pharmaceutical companies are beefing up their corporate VC activities. I count no fewer than twelve VC funds affiliated with pharmaceutical companies, some of which have roots in Germany (Boehringer Ingelheim) or German-speaking Europe (Novartis) and some of these have a strong interest in clinical diagnostics (Roche). All these funds need look no further than Germany. What a fit! On top of the fertile environment for technologies, labor is relatively cheap. As I learned as a venture capitalist in a Germany-based fund, the cost of a laboratory worker in Germany is roughly half of the cost in the United States and the quality of their work is as high if not higher. And the managers needed to bring technology platforms to proof of concept are present in larger numbers than at any time in the country’s history. They have worked by the dozens in German companies that have had solid exits – starting with Micromet and extending to Brahms, MTM Laboratories, Direvo, Jerini and MorphoSys – and strong sales – Evotec, Miltenyi and Qiagen in addition to the local pharmaceutical industry (Bayer Schering, the former Sanofi Aventis, and Boehringer Ingelheim). 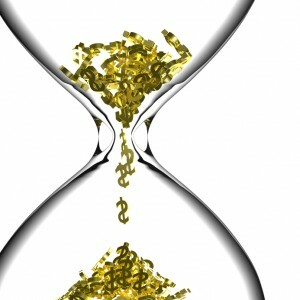 The growth capital bottleneck should present no major obstacle to corporate venture investors who are both investing more and also increasingly working side-by-side in companies such as Aileron Therapeutics and Celladon Corporation, US-based companies that have attracted four corporate VCs each. If pharma is the investor then the exit could well be integration into one or another pharma company’s own research efforts. Investing with the aim of achieving technical proof of concept in therapeutics or early commercial validation in the case of non-therapeutic platforms would alleviate the need for fifteen years of funding. The “harvest” could come much earlier. But who knows? Once investors see that their efforts are being rewarded, they might choose to let the companies carry on independently, issuing technology dividends and financial dividends alike. What’s missing is a catalytic action on the part of those VCs, especially corporate VCs, already active in Germany together with the German government. A government co-investment growth fund of € 200 million or € 300 million, actively managed and investing in each deal alongside a minimum of two corporate or financial VCs, could make a huge difference. The seedlings are beginning to grow. Time to water them. Disclosure: Steve Dickman or CBT Advisors have worked recently with Curetis, Direvo and Probiodrug and previously with Evotec, Jerini, MorphoSys and NOXXON. *GO-Bio has financed thirty-four projects in four rounds, leading to fifteen companies. High-Tech Gründerfonds, also based in Berlin, which finances high-tech startups including those in medical technology- and healthcare-related fields, has been active since 2005 and recently began investing a second fund of € 288.5 million.